The species L. philadelphicum ranges in color from this rare yellow to deep, deep reds. 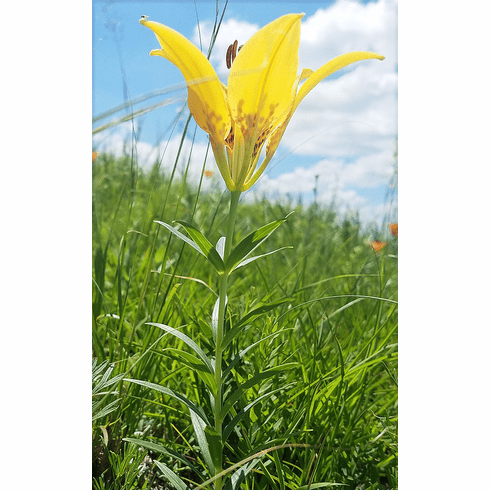 This rare beauty in its yellow form is from Wikimedia Commons was photographed in North Dakota and was contributed by Krista Lundgren/USFWS Mountain Prairie in an area that had been subject to a prescribed burn six weeks earlier. Original photo was cropped. This file is licensed under the Creative Commons Attribution 2.0 Generic license. Thank you Krista for sharing this wonderful photo on Wikimedia Commons.